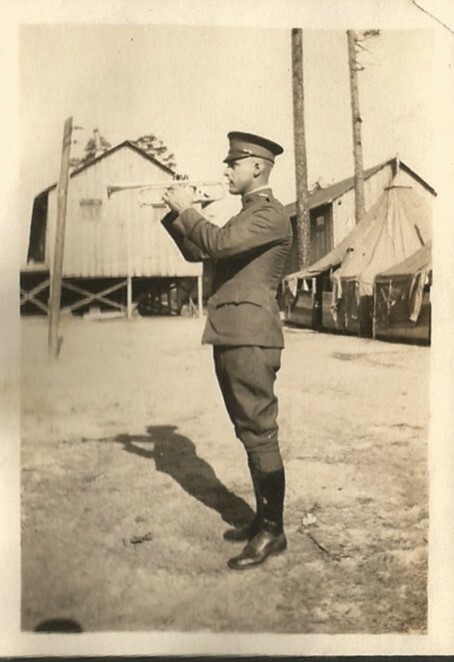 The Federal Point Historic Preservation Society will hold its monthly meeting on Monday, April 17, 7:30 p.m. at the Federal Point History Center, 1121-A North Lake Park Blvd., adjacent to Carolina Beach Town Hall. 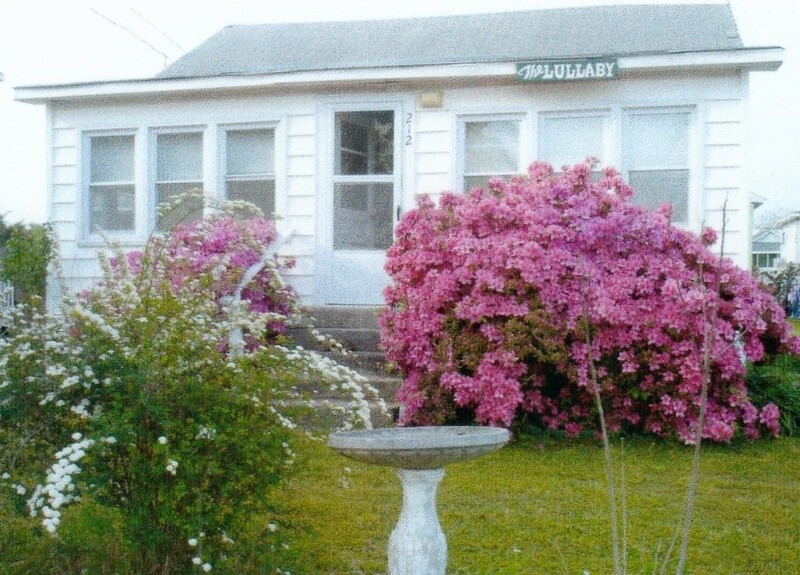 Elaine’s presentation will look at buildings, businesses and places at Carolina Beach from the past and what is in that same location now. In some cases, we also see what was there in between. This trip down memory lane begins just before coming over the Snow’s Cut Bridge and continues along Lake Park Boulevard to the Carolina Beach Lake. The Carolina Beach Hotel opened on June 4, 1926, it was destroyed by fire on September 13, 1927, and its’ owners were acquitted of arson charges on January 20, 1928. In a year and a half, the hotel’s story had come to an end. The city block bordered by South Fourth and Fifth Streets, Atlanta Avenue and Clarendon Boulevard sat empty for the next ten years. 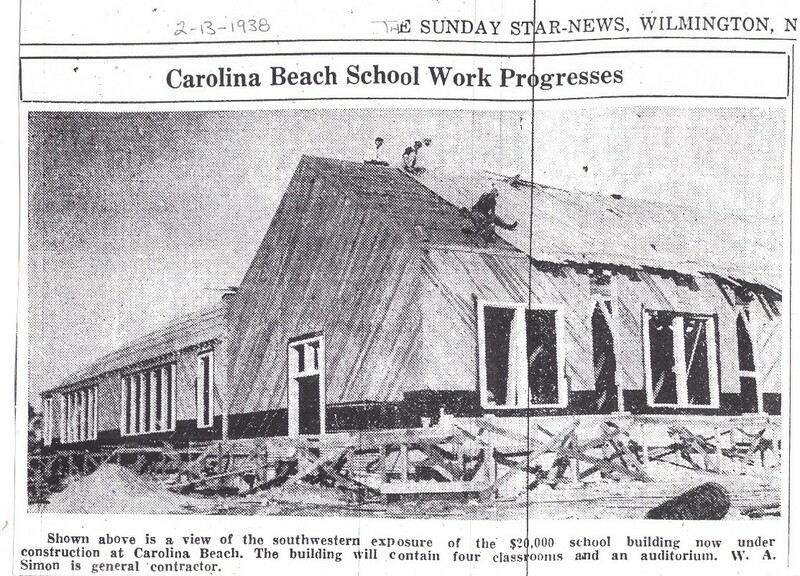 In January, 1938, construction began on the Carolina Beach School in the same city block where the hotel had been. Another similarity was that the builder of the new school, W.A. Simon, also built the hotel. Until 1916 Carolina Beach elementary students attended a school near the river in the area where Dow Road and Henniker’s Ditch are located. Katie Burnett Hines was the principal of that school that burned in 1916. After that the pupils were bused to Myrtle Grove School near Myrtle Grove Road with the promise that the school board would build a new school on the beach. About 70 Carolina Beach students went back to the beach for the 1937-38 school year. They used a temporary school located on the boardwalk and called, appropriately, the Boardwalk School. There were two classrooms: one for grades 1-3 and the other for grades 4-6. The rooms were separated by a sheet hanging from the ceiling. It was located near Britt’s Donuts present location. 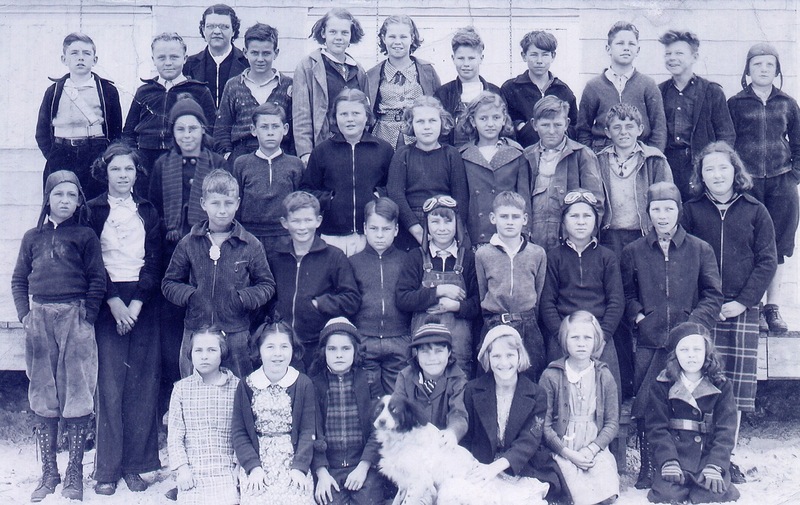 You can see our late member, Ryder Lewis, in this photo of the fourth, fifth and sixth grades from that 1937-38 Boardwalk School. He is on the third row, second from the left. (click image) The late Juanita Bame Herring is on the same row, fourth from left. 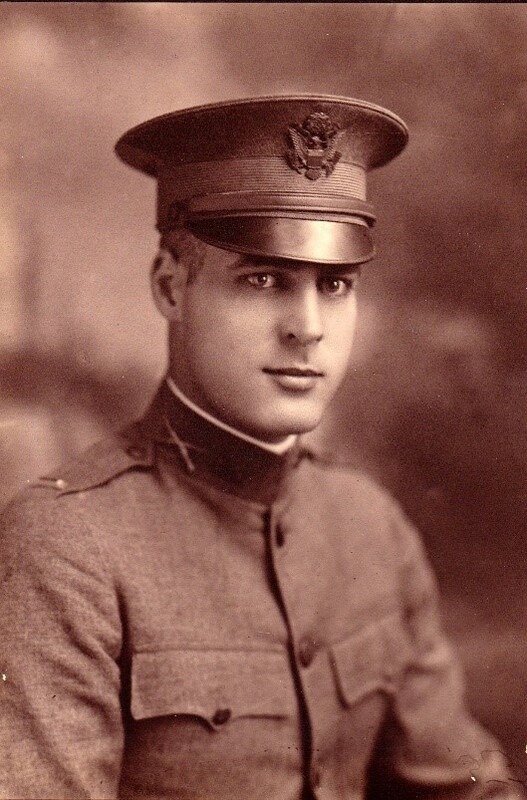 You can tell this was post WWI, pre-WWII, and at a time when boys were crazy about planes from all the aviator caps in the photo. 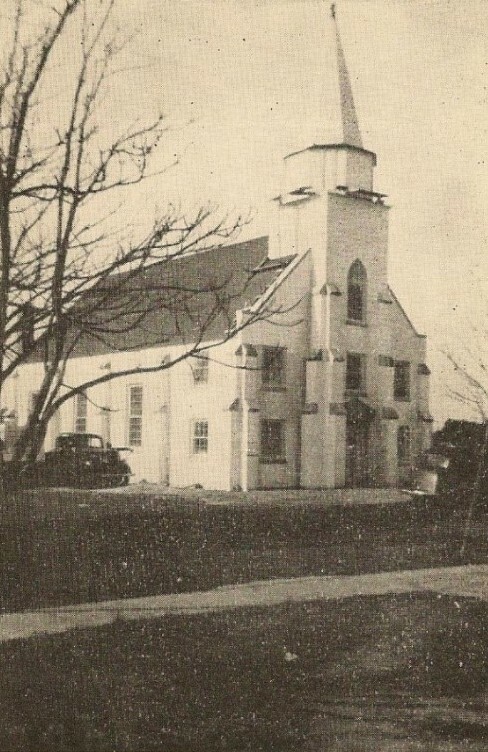 The new school on South Fourth Street was begun in early January of 1938. It had an auditorium and four classrooms. You can see how quickly it went up from this mid- February picture from the Sunday Star News. In April, 1938, the New Hanover Board of Elections made plans to move Federal Point’s polling place to Carolina Beach School since 70% of the voters lived south of Snow’s Cut. Previously they had voted at Robinson’s Store on Carolina Beach Road. New Hanover Schools Superintendent, H.M. Roland announced that 105 students were enrolled when the school opened in fall of 1938. Mrs. Madge Woods Bell was principal the first year. 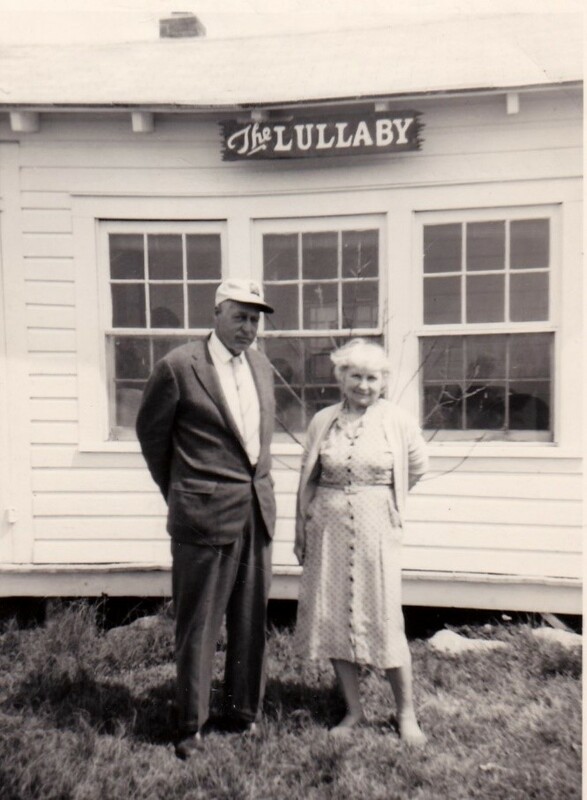 She moved away the summer of 1939 and was replaced by Mrs. C.G. Van Landingham who was still there when the first of several additions was added in 1941. Kure Beach Fishing Pier has been around since 1923. It was first built by L.C. Kure whose father owned most of what is now Kure Beach, NC. It is officially the oldest pier on the Atlantic coast. 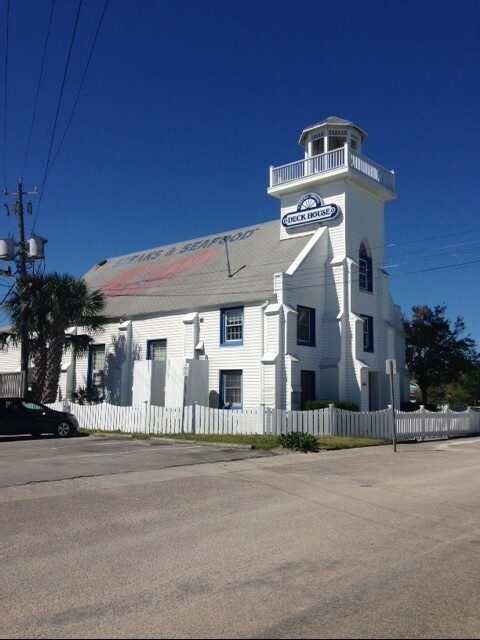 The pier is currently owned by descendent Mike Robertson. We at the Federal Point History Center take great pride in that Kure Beach Fishing Pier is one of the Society’s longtime Business Members. Mike and his crew just reopened the pier for the 2017 season on Friday, March 31st to a huge turnout. Anthony, Ronny, Russ, Jim, Kris, and Amy are just a few of the great folks who take care of us when we visit. We encourage you to stop by the pier to go in and look around. The pier has the long walk out to the “Tee” with a spectacular view looking north all the way to Wrightsville Beach and south to Fort Fisher. Try their popular ice cream or have their newly offered Snow Cones of many flavors! Their gift shop is open daily until 11 PM. A Kure Beach Fishing Pier Tee Shirt is a must for any one visiting Federal Point!! 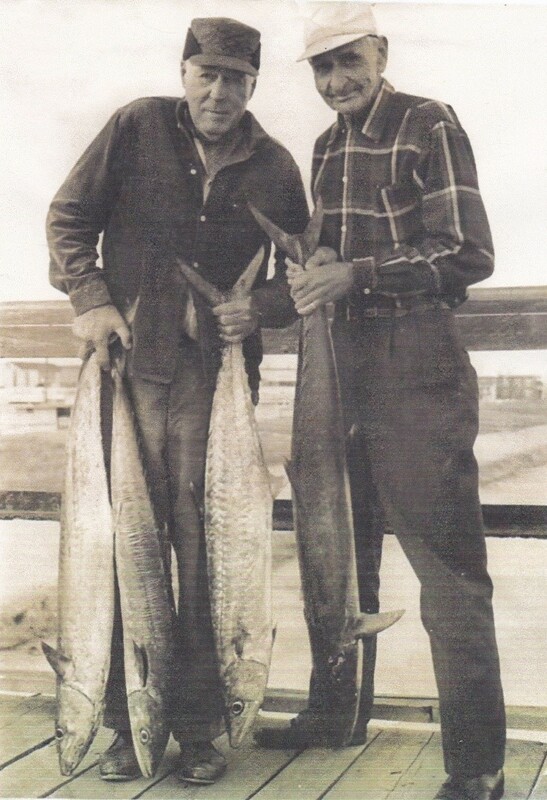 Browse the collection of photos hanging up showing their many fishing tournaments there each year like the King Mackerel tournament. We are proud of the pier and their good work done each year by allowing several groups to sponsor charity fishing tournaments such as the upcoming Cape Fear Disabled Sportsman’s Fishing Tournament on May 11th of this year. The following week will be the Step Up for Soldiers Fishing Tournament. The folks running the pier are the nicest around. Always smiling, always helpful. You can find Kure Beach Fishing Pier at 100 K Ave. Kure Beach, NC 28449. They are on Facebook. Their webpage is www.kurebeachfishingpier.com and their phone number is (910) 458-5524, 24 hours a day. When you visit, please thank them for being such an upstanding Business Member of Federal Point Historical Preservation Society! We wish the Kure Beach Fishing Pier and the staff a great 2017 season!! Welcome to new member Kim Weir of Lewisville, NC.